A Lebanese man sentenced to death in Saudi Arabia for sorcery has been given a temporary reprieve, his lawyer says. Ali Sabat's execution was scheduled for Friday but his lawyer, May el-Khansa, told the BBC she had been assured by a Lebanese minister it would not happen. Mr Sabat, who is in his 40s, was the host of a satellite TV programme in which he predicted the future. He was arrested by religious police while on pilgrimage to Saudi Arabia in 2008 and convicted of sorcery. Lebanese Prime Minister Saad Hariri had been urged to intervene on his behalf. 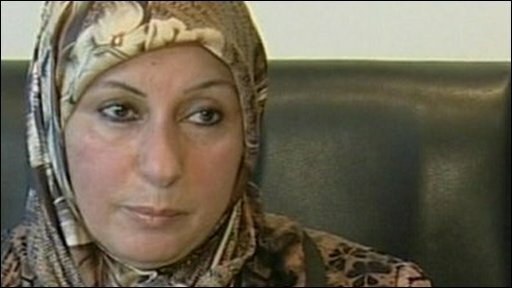 "The minister of justice for Lebanon called me and told me that nothing would happen [on Friday]," Ms Khansa told the BBC. "But after that I don't have an answer as to if he will be alive or not. "Time is passing and if they don't kill him this Friday maybe next Friday," Ms Khansa told the World Today programme. There has been no official confirmation from Saudi Arabia, where executions are often carried out with little warning. Amnesty International said Mr Sabat seemed to have been convicted for "exercising of his right to freedom of expression". Mr Sabat's lawyer: "He wants to live with his family, and his family needs him"
Malcolm Smart, head of Amnesty's Middle East and North Africa programme, said it was "high time the Saudi Arabian government joined the international trend towards a worldwide moratorium on executions". Ms Khansa says her client did make a confession but he only did so because he had been told he could go back to Lebanon if he did. Human rights groups have accused the Saudis of "sanctioning a literal witch hunt by the religious police". 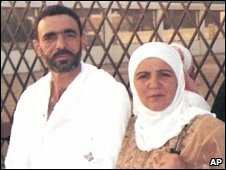 An Egyptian working as a pharmacist in Saudi Arabia was executed in 2007 after having been found guilty of using sorcery to try to separate a married couple. There is no legal definition of witchcraft in Saudi Arabia, but horoscopes and fortune telling are condemned as un-Islamic. Nevertheless, there is still a big thirst for such services in a country where widespread superstition survives under the surface of strict religious orthodoxy, the BBC's Sebastian Usher says.